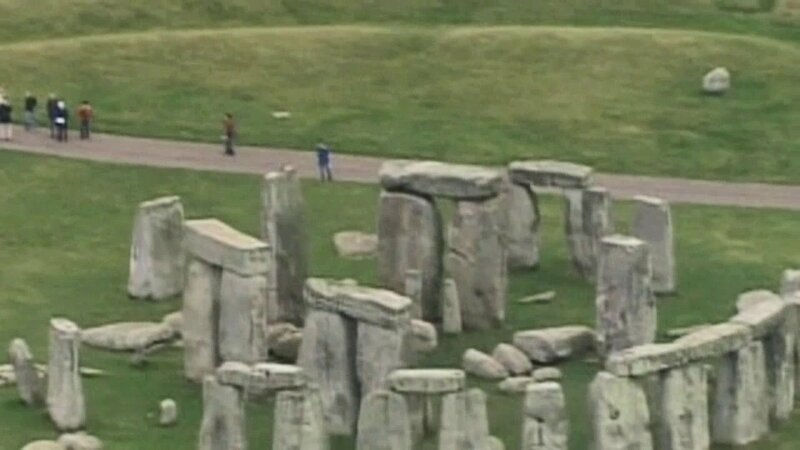 LONDON -- Researchers have discovered evidence of standing stones believed to be the remnants of a major prehistoric stone monument near the Stonehenge ruins. University of Bradford researchers said Monday the monument is thought to have been built around 4,500 years ago. The Stonehenge Hidden Landscapes Project used remote sensing technologies to discover evidence that up to 100 stones formed the monument about 2 miles (3 kilometers) from Stonehenge. The evidence was found beneath three feet (one meter) of earth near the Durrington Walls. No excavation was needed during the investigation and none of the stones have been uncovered and removed. Some of the stones are thought to have stood 15 feet (4.5 meters) tall before they were toppled. Researcher Vince Gaffney said the immense scale of the monument is unique.